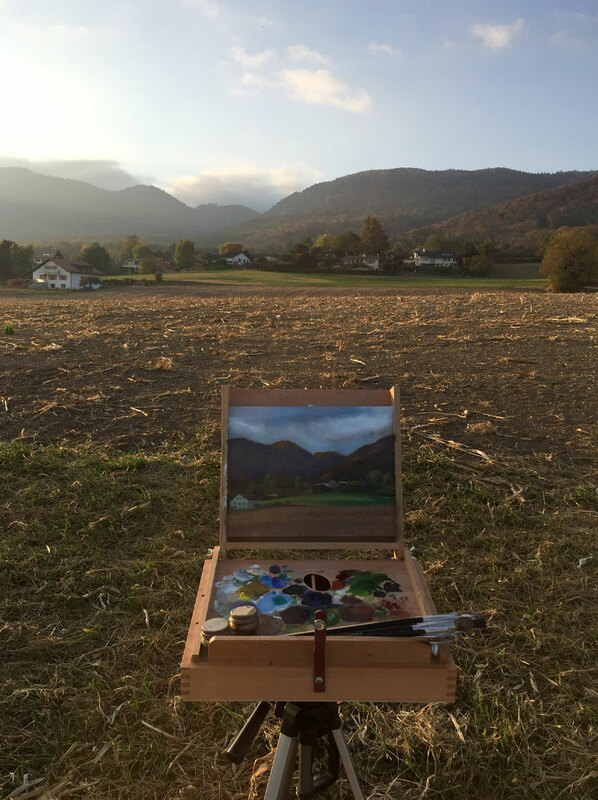 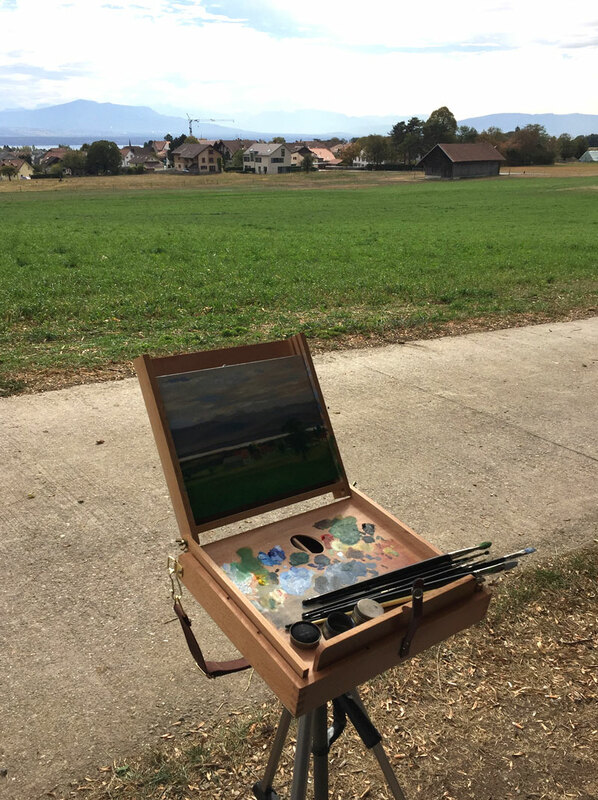 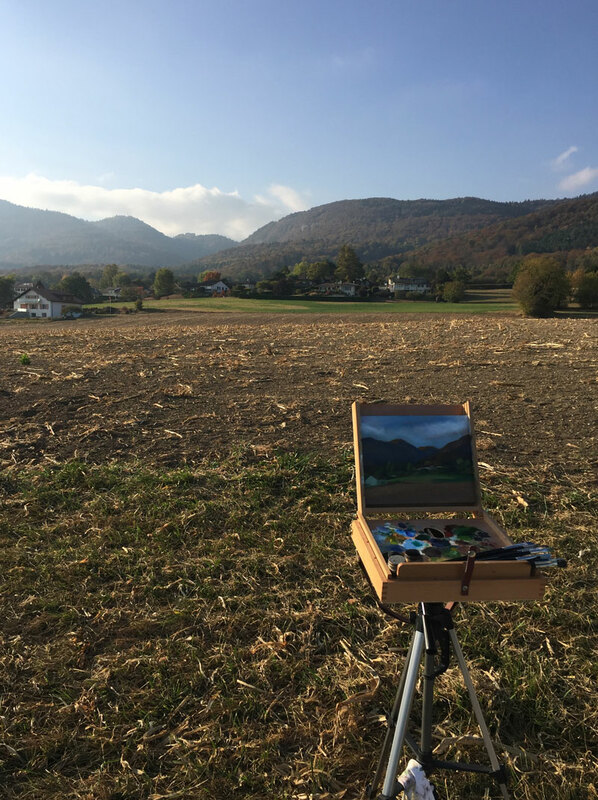 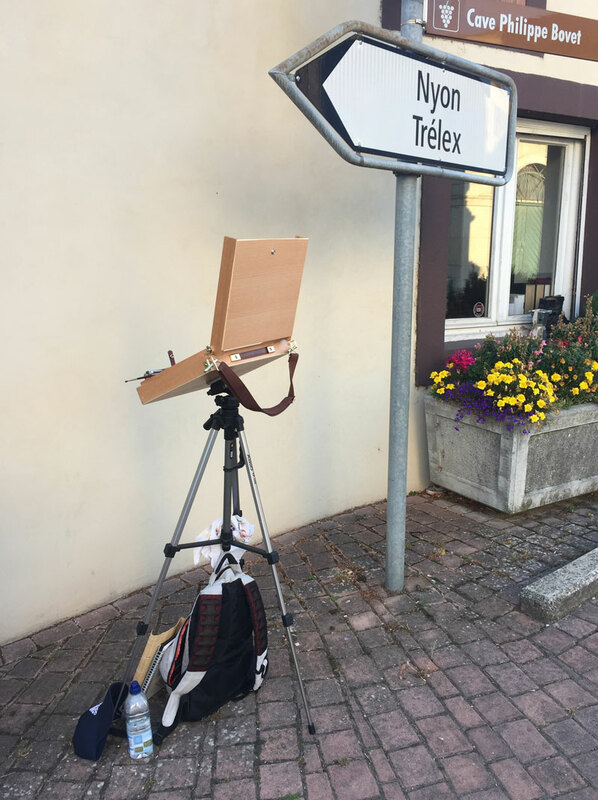 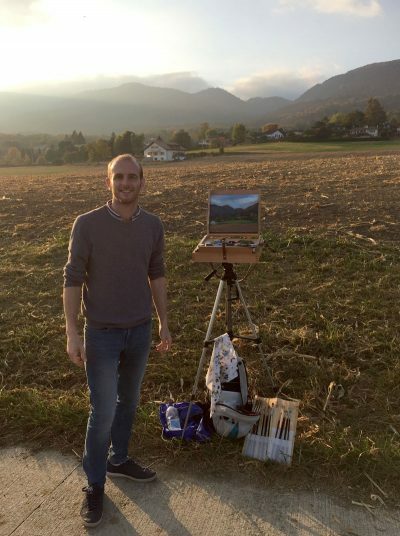 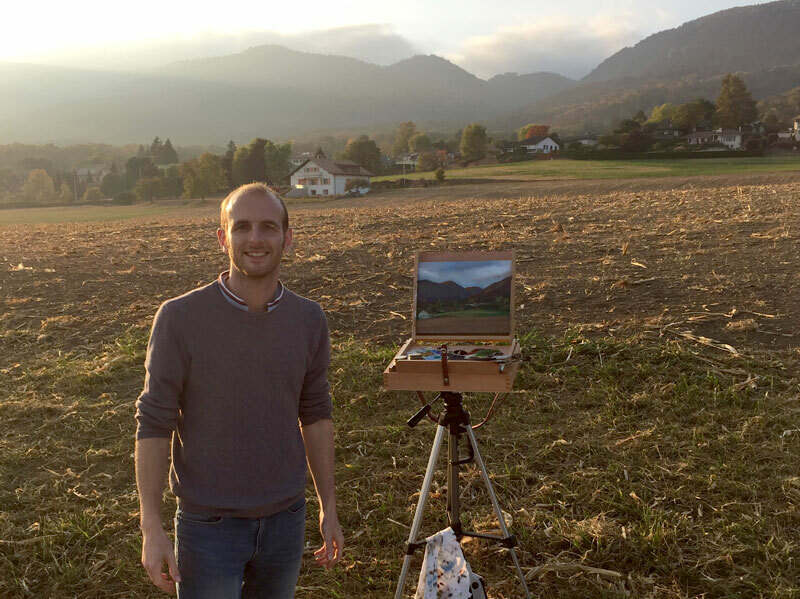 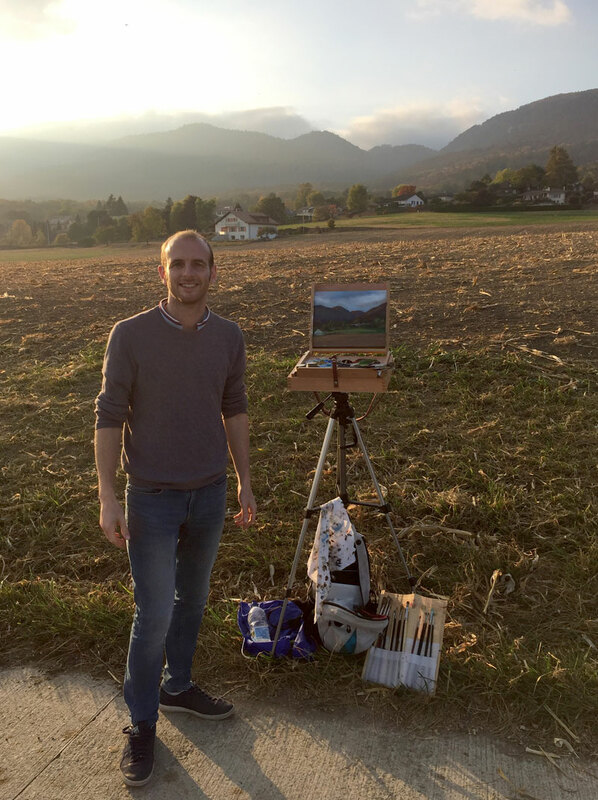 I enjoyed a great few days painting en plein air over in Switzerland earlier this month. I was based in the picturesque village of Givrins, near Nyon where I was able to paint the local Auberge, Jura Mountains and Lake Geneva. 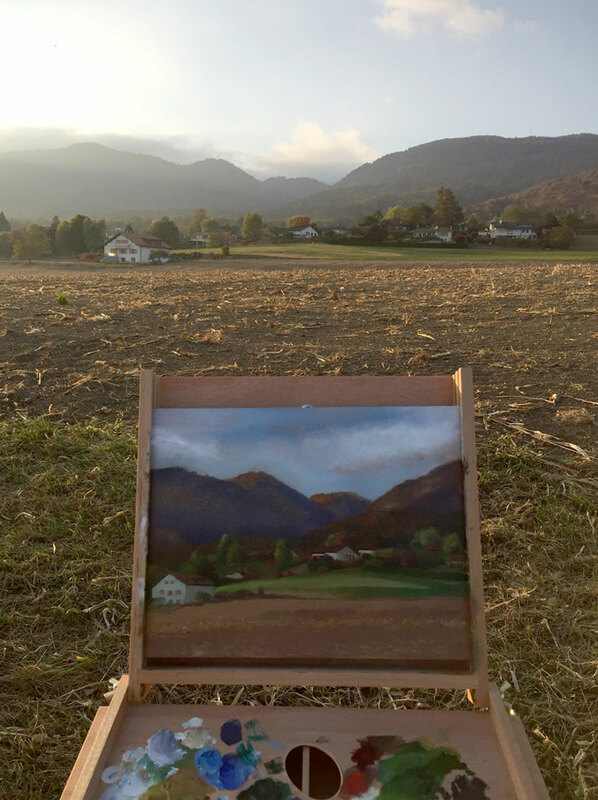 The gallery below shows a few progress shots of the three paintings. 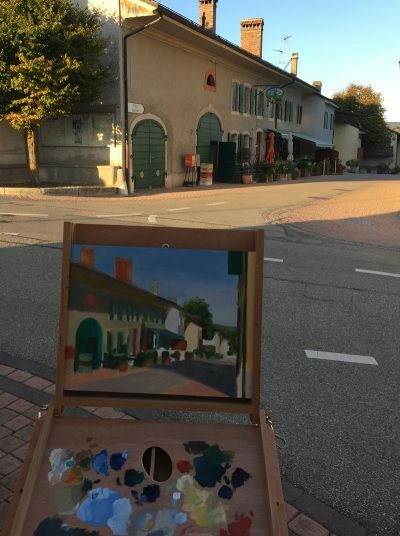 I lost the light as I painted the Auberge (think I bit off more than I could chew!) so I’ll be finishing this back in the studio when I can find the time! 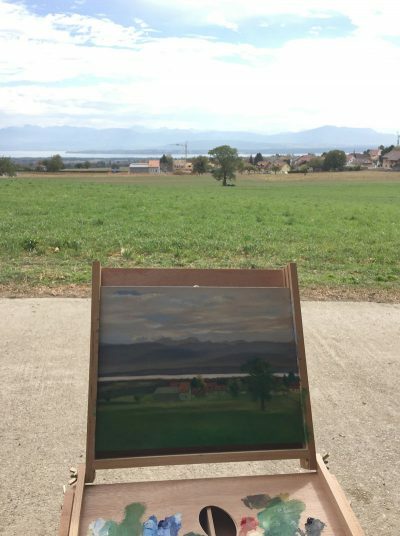 The second view features Lake Geneva in the middle ground and the alps in the distance seen from the outskirts of Givrins. 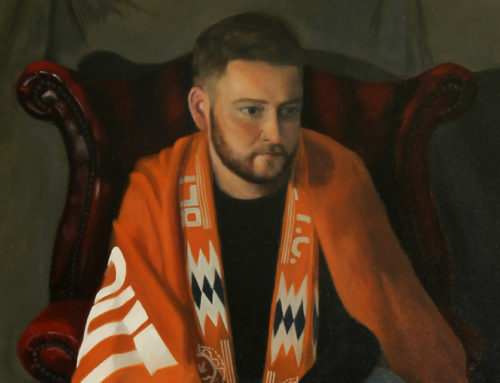 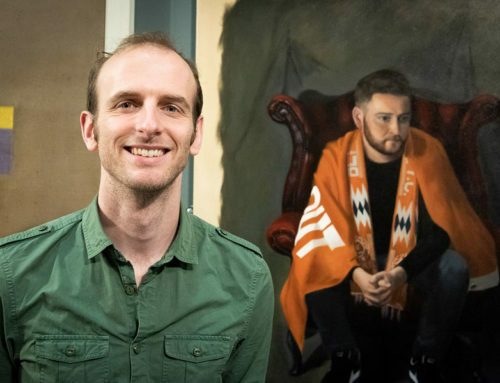 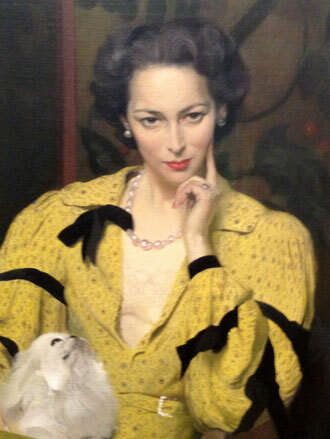 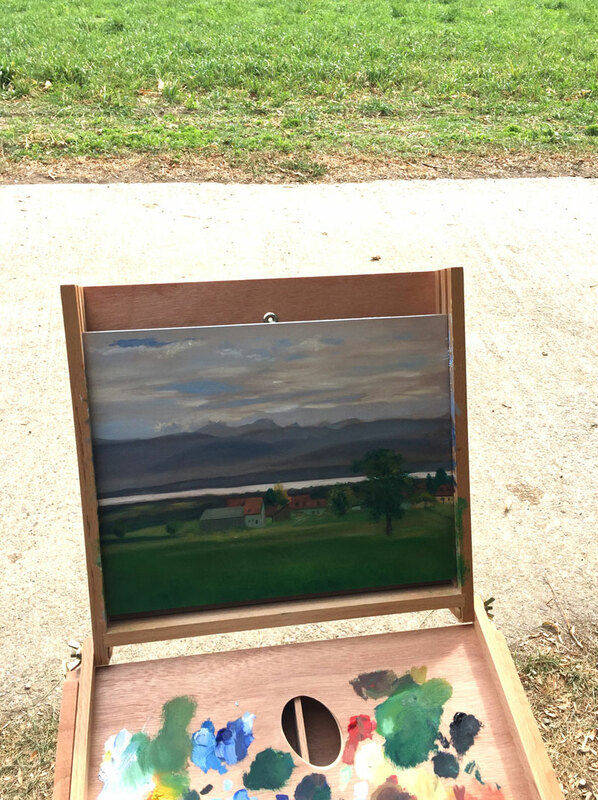 I managed to sit on a bench for this painting, saving my legs for the other days that I would be stood at the pochade box! 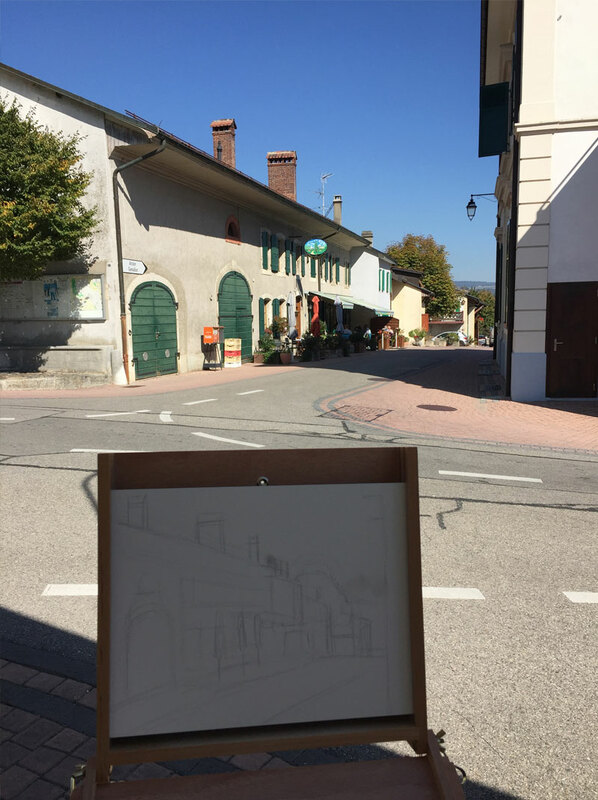 The weather wasn’t quite clear enough to make out Mont Blanc so it’s definitely a spot to return to in future. My favourite view is the one of the Jura Mountains which I painted from across some fields on the outskirts of the village. I headed out quite early and the clouds were hiding the mountains so I worked up the foreground and middle ground as best as I could in the hope that the sun would break through later in the day. 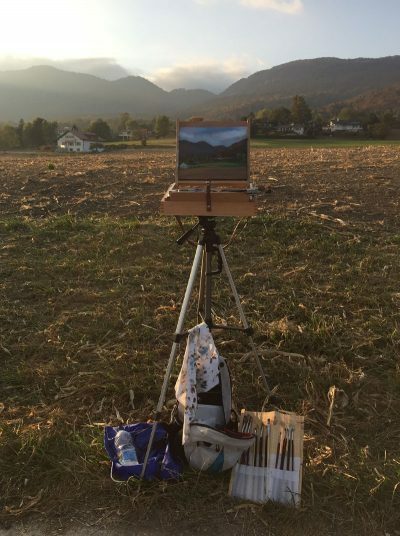 Luckily the weather and light improved and a low hanging mist created a great atmosphere in between the mountains. 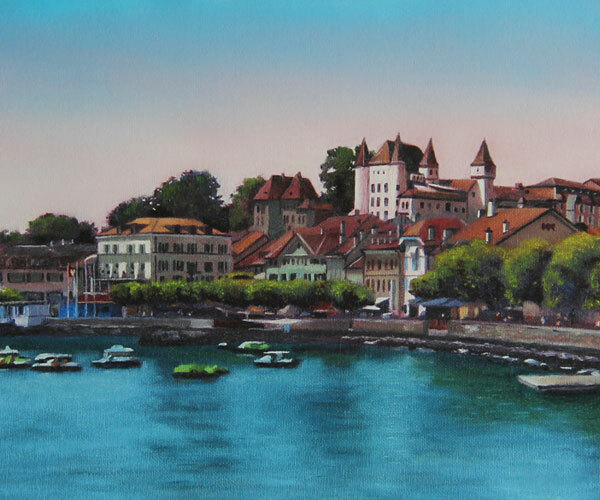 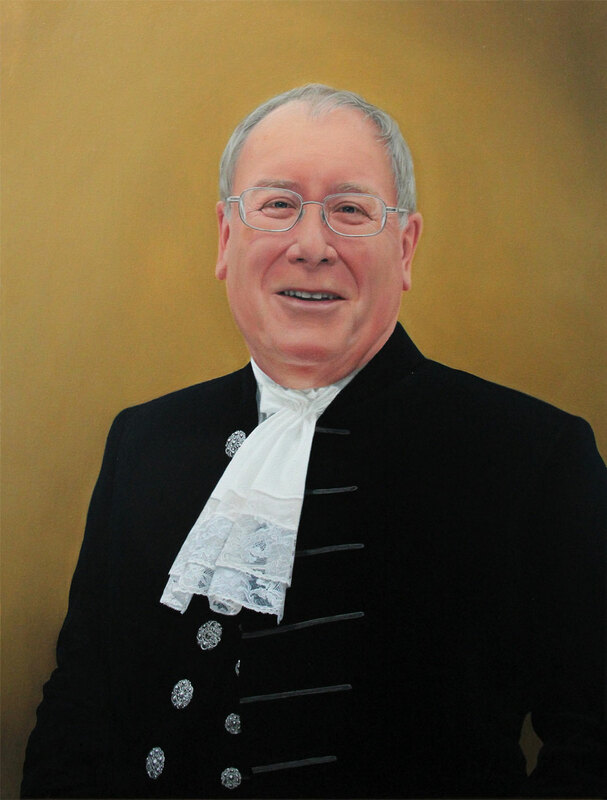 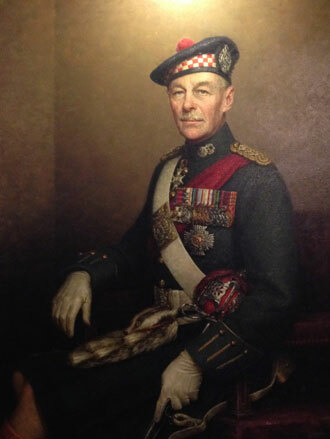 A thoroughly enjoyable one to paint. 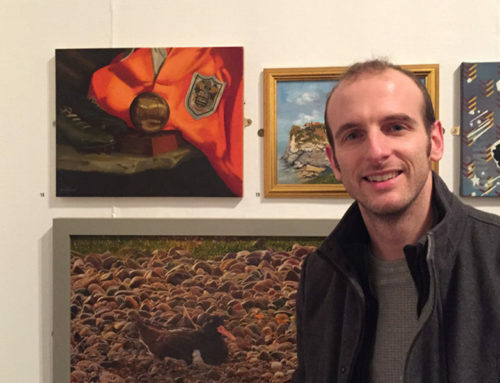 When I’ve managed to varnish and photograph the finished paintings they’ll be added to my portfolio and available to buy in the shop.